A 6 bottle mixed case of the following wines: Bevilo IGT, Rosso di Montalcino and Brunello di Montalcino. Bevilo IGT: A blend of 90% Sangiovese Grosso, 10% Cabernet Sauvignon and Merlot. 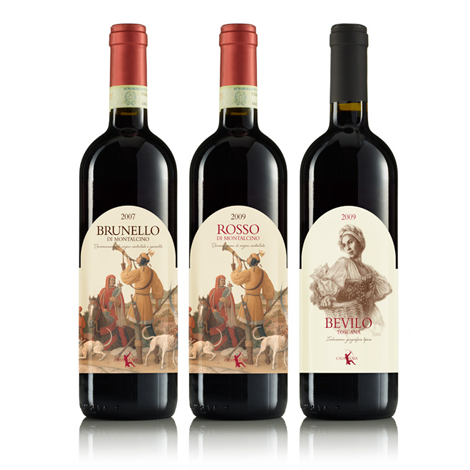 Rosso di Montalcino: If you are a fan of the smash hit Brunello from Casa Raia, then this is really going to excite you. This is terrific wine for early consumption, and with a more friendly price tag, this is a fabulous buy. Great structure combined with loads of complexity, this will age for another 7-8 years too.